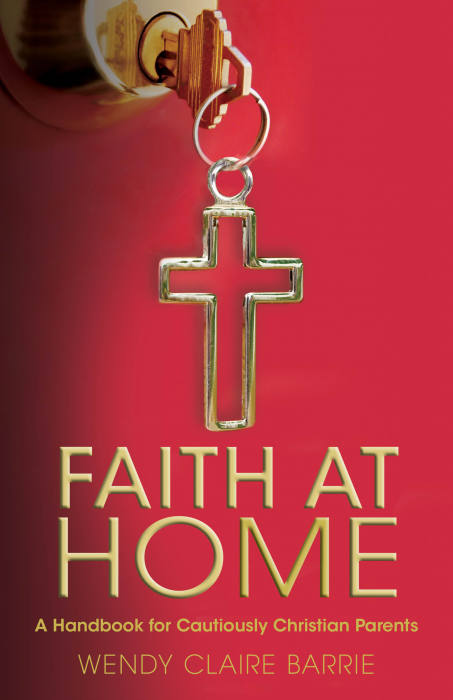 We’re delighted to interview Wendy Claire Barrie, author of Faith at Home: A Handbook for Cautiously Christian Parents, today. Her book was recently released from Church Publishing Inc. And you, dear reader, might win a free copy! Read on to learn more. 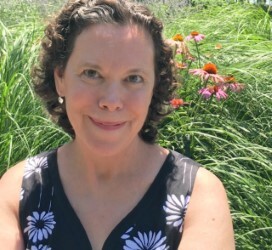 Wendy has been a Christian formation professional for many years. But not only is she a church educator, she’s also a parent. That’s why I’m particularly excited to read her work – she knows these trenches because she lives in them. I love the subtitle’s callout to “Cautiously Christian Parents.” You’ve been a Christian formation professional for years. I imagine you’ve engaged with a number of parents who feel cautious about Christianity. What’s your experience of the reasons behind that caution? What drives it? My friend and mentor Lisa Kimball came up with the subtitle, which I completely love. I just wanted to make sure that the book got into the hands of the people who might not otherwise pick it up. I say that I wrote it for the people who aren’t all in, who aren’t already celebrating St. Joseph’s Day at home, and let me just admit now, that includes me. I am in many ways the parent I’m writing for. I am cautious about Christianity when it comes to how it is often presented in popular culture and the media. I’m cautious to claim an identity that is often seen as exclusionary, anti-science, anti-reason. I am also cautious about being a Christian in a pluralistic world. It’s important to me as a parent to make sure my child understood that while Christianity is our family’s path to God, it is not the only path to God. So those are my reasons for being cautiously Christian. There are parents for whom this is new and very counter-cultural, parents who are cautious because the church has hurt them, parents for whom the church they grew up in is no longer home for them and they want to pass on new or different understandings to their children. My caution doesn’t prevent me from action, however. It just makes me that much more intentional about how I am a Christian. What do you hope the book provides to “cautiously Christian” parents? I hope that the book provides encouragement, permission to try new things and to let go of some preconceptions. I hope parents will be reassured that they don’t have to have answers to all the questions—they don’t even have to be 100 % clear about what they believe in order to have meaningful conversations about matters of faith with their kids. I really hope that this can be an invitation into wonder, mystery and joy for everyone, cautious or not. Some of what I write about is to give a way “in” to the practices that cautiously Christian people have questions about, or less familiarity with: reading the Bible in all of its contradictory, complicated messiness with kids, praying even if you believe prayer does not change outcome, why we baptize and what communion means, an introduction to the liturgical year. Much of what I write about is my own journey of faith as a parent. What about those of us who are not cautious about our Christianity? How will the book help us? Most of the suggestions, ideas and resources in the book are valuable regardless of whether you are cautious or committed. I imagine that for those who are already deeply involved, you’ll still find things that are new to you that you’ll want to try with your family, and I am also hoping that it will make talking about these things with your less-churchy friends a bit easier. Claim your Christian identity and share what it means to you, find ways to talk about what you do to “make home holy” or to connect what happens in church, at home and in the world with people in your wider circle, even with your friends of different faiths, and ask them about their own practices and traditions. Some of us who’ve been practicing our faith for a long time do certain things because we’ve always done them that way; we may not look as deeply into the mystery and wonder as children do, or as people for whom these things are new. I hope this framing I’m giving will wake some people up a bit, make them more curious, more intentional in certain aspects of their faith. That’s what the experience of writing the book gave me! What’s your big dream for this book? Why did you write it, and how do you hope it will serve God and the church as a whole? I wrote this book for the greater glory of God. I know that sounds corny, but really, that’s why I do what I do. I’m a storyteller by nature, training and profession, and to me, this story, our Christian story, is the very best one there is. I wanted to help parents find their place in the story, so they can tell it to their children in a way that feels true to them. Once we know our place in the story, it’s easier to live into our roles as participants in the kingdom or realm of God. I believe that’s why God created us: we’re the ones in whom God works to bring about the kingdom Jesus introduced us to. We aren’t supposed to wait for heaven; we help bring it here to earth, every day. As for the church: we now have a large body of longitudinal research that makes it very clear how faith is transmitted across generations. Parents and clergy alike may be surprised to learn that parents are the most significant influence on whether and how their kids grow into a life of faith. Home is where the transmittal of faith happens, and it happens through ordinary life practices, not through preaching, rites of passage or programs. I hope that the church begins to use this knowledge to strengthen and equip parents. I hope we take advantage of the fact that church is still one of the few places where we intentionally bring people of all ages together, and rejoice in knowing that aside from parental influence, the other two most significant factors that contribute to kids growing into an adult faith are participation in worship and connection to other adults in the faith community. Let’s really examine how we worship together, and how we might bring all ages together for formation in service, fellowship and education. We may not all be parents, but as Christians we should all see ourselves as part of a family, part of God’s family. We have so much to learn from each other no matter our ages, and we’ll be so much the richer for sharing it together. Wendy was kind enough to share an excerpt from her book on Grow Christians earlier this year. Now one of our readers will win a free copy! Just head over to Facebook and like our totally-new Facebook page. On Friday, November 11th, we’ll select a Facebook follower to receive a copy of Faith at Home. Do you know a cautiously Christian parent? Are you one?